There was drama in parliament today as war between Norton member of parliament Temba Mliswa and Chegutu West legislator Dexter Nduna raged on, prompting the deputy speaker Tsitsi Gezi to chuck off Mliswa from the August House. 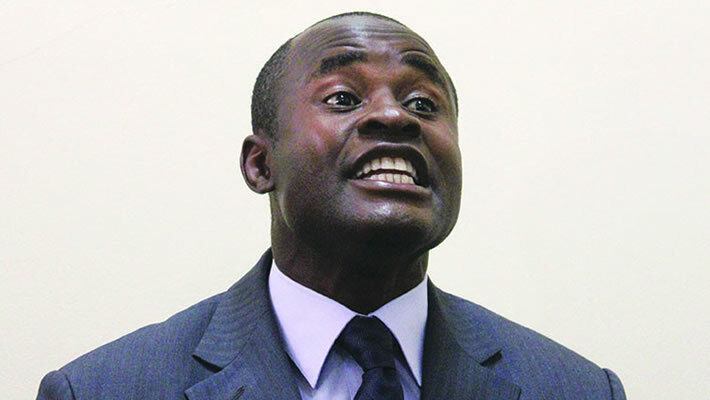 Before the commencement of the question and answer session, Mliswa took to the podium charging that he fears for his life following murder threats by Nduna. The two exchanged words on Monday during a parliamentary committee on Mining and Mines portfolio meeting with Nduna warning Mliswa to be careful when dealing with him as he has killed a lot of people before. When Mliswa stood up, he called Nduna a murderer whom parliament must investigate following his admission to have committed murder. “Waakupenga manje , wazvionaka kuti munhu haauraiwe. You murderer come here. You are a murderer. Come here,” fumed Mliswa. As the situation got nastier and Gezi failing to restrain the outspoken Mliswa, Energy and Power Development, Joram Gumbo stood up to calm the charging legislator, but to no avail. The speaker had no option but to chuck off the former Mliswa from the August house to save parliamentary business. Mliswa and Nduna caused a stir on Monday when they were captured on video trading insults with the former Hurungwe west legislator accusing his Chegutu counterpart of stealing $11 million from the Zimbabwe National Road Authority (ZINARA). On the other hand, Nduna warned Mliswa to be careful in dealing with him as he has a known record of killing people. This attracted mixed feelings on social media with people demanding the arrest of Nduna whom they said had openly revealed his crimes.